Running from 25-29 March, this year the main focus of Horse Health Week is on helping horse owners and giving them a greater understanding of infection risk to their horses. The brand behind the campaign, Keeping Britain’s Horses Healthy (KBHH), wants horse owners to know the risks when it comes to equine infectious disease. From the 25 March you can join in on twitter using the hashtag #HHWKnowYourRisk. There will also be the chance to win some fantastic daily prizes via the KBHH website. Although influenza is endemic in the UK, it’s estimated that less than 50% of the equine population is vaccinated against equine influenza. All horses should be considered to be part of a herd even if they live alone. Certain diseases can spread huge distances, or are present in the soil. Therefore the health status of your horse does make a difference to other horses. Herd immunity occurs when the vaccination of a significant portion of a herd provides a measure of protection for individuals who have not developed immunity. In these situations the disease is unable to spread because there are too few susceptible horses left to propagate the outbreak. Tetanus is caused by a bacterium (Clostridium tetani)which is found in the soil and therefore horses can contract the disease at home. The bacteria enter the body through wounds, e.g. puncture wounds to the sole of the foot. The bacteria cause disease by producing toxins that affect the nervous system. In the majority of cases, tetanus is fatal. Other diseases such as influenza, strangles and herpes may also be a threat depending on the disease risk to the yard where your horse is kept. Influenza can travel up to 5km, therefore even if your horse is stabled alone it is likely to still be at risk. It’s easy to overlook the importance of influenza as a disease as it’s not normally fatal. However, the disease is debilitating and can be distressing to witness. Being airborne, the virus can spread quickly and easily through a yard. Do you know your risk when it comes to infectious diseases? 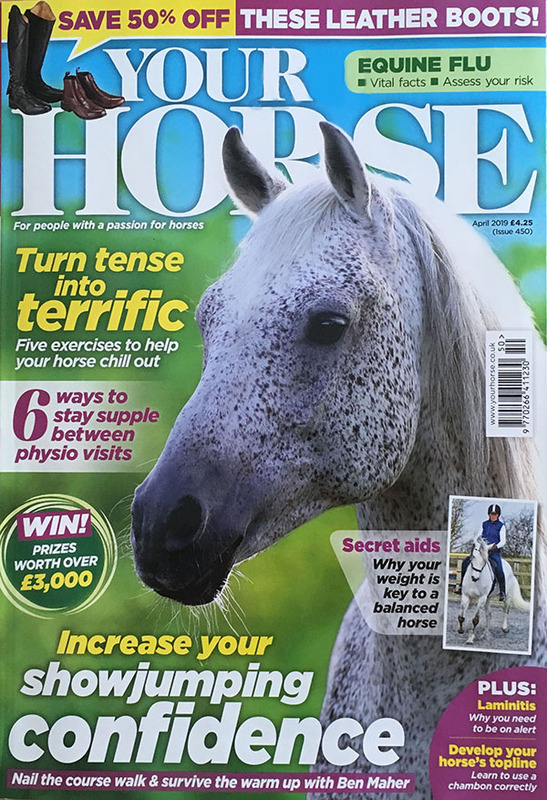 Use the handy pullout in our latest issue to assess the risk to your horse, available here.